An environmental pledge to encourage eco-friendly tourist activity. opportunities, it also puts a lot of pressure on the environment. playing in the water, and feeding marine life all have a negative impact on the environment. As the wrath of winter arrives you can’t help but dream of warmer days spent on sandy white beaches or swimming with turtles in stunning turquoise water, right? Well the tiny Republic of Palau, located halfway between Australia and Japan, has all that to offer, and more! With hundreds of small islands featuring crystal clear waters, abundant sea life, and world-class diving, it’s no wonder tourists flock there by the thousands each year. However, in order to enjoy all this beauty, you must first sign an eco-pledge. The Eco-pledge, also known as the Palau Pledge, is stamped onto visitors’ passports upon arrival and must be signed. 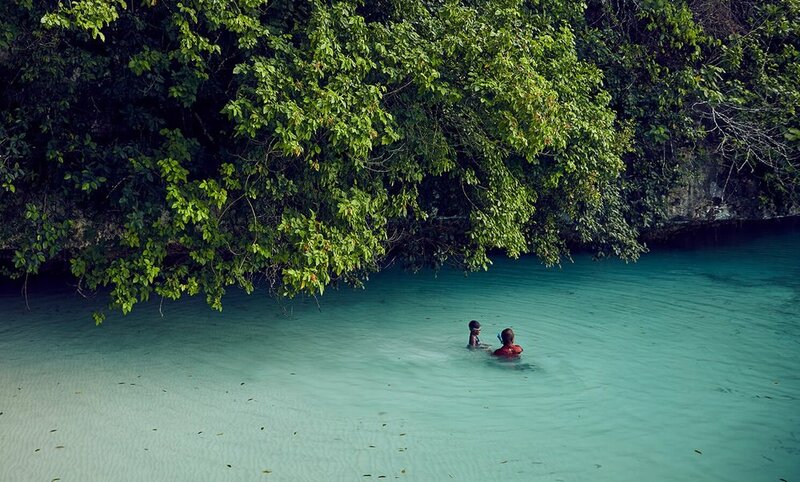 The agreement, which is dedicated to the children of Palau, starts with the verse “I take this pledge as your guest, to preserve and protect your beautiful and unique island home” and continues with “tread lightly, act kindly and explore mindfully”. In addition to the pledge, visitors are required to watch an in-flight video educating them on the dos and don’ts, and their environmental responsibility while visiting the island nation. Learn more about the pledge here.